Our monarch butterflies are vanishing — and all signs point to Monsanto as the main culprit. Major press outlets worldwide reported earlier this month that the butterflies are in “grave danger”. Their population has reached the lowest numbers ever recorded. Now, an independent study has linked the monarch’s decline with Monsanto’s Roundup pesticide. This corporate giant knows what it’s doing. But Monsanto says we should balance the butterfly’s survival with what it calls “productive agriculture” (read: Monsanto’s bottom line). We need to fight this now, before it’s too late for the butterflies. The annual mass migration of 60 million monarchs from Canada to Mexico is one of the most beautiful phenomena in the natural world. But it’s now on the verge of being a relic of history, and a key link in our food chain is under threat. 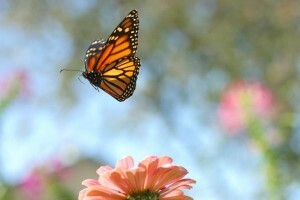 The monarch butterfly is in a serious, decades-long decline. 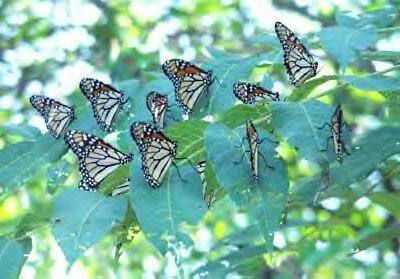 The WWF has reported that this winter, the monarchs are only occupying an area of 1.7 acres in Mexico, down from 45 acres in 1996. An evolutionary strategy based on eating a common weed seemed smart — until Monsanto came along. Just one state along the monarchs’ migration route, Iowa, is reported to have lost 98 percent of its milkweed. Monsanto products like Roundup dominate the agricultural market worldwide. This corporate giant sells matching genetically-engineered plants resistant to its pesticides — and encourages factory farms to douse fields with gallons of Monsanto’s herbicides. But sprayed over vast areas, these poisons effect the entire ecosystem. Monsanto’s Roundup is also wiping out the monarchs’ primary food source — a plant called milkweed. Scientists have linked the monarch’s rapid population decline to the spread of Monsanto’s pesticides. Losing these butterflies means wiping out insects, birds and small mammals that rely on the monarch and its place in the food chain. Every second we wait is another second closer to the monarch’s extinction. We helped wake up the world to the danger of Bayer’s pesticides on the bees. Now let’s harness that awareness to save the monarchs from Monsanto!